Our Tampa Roof Cleaning Company was established in 1996 due to demand for quality residential and commercial non pressure roof cleaning in Tampa for a fair price. We pride ourselves on providing our customers with high quality roof cleaning results, and personal service. Our Roof Cleaning Company is conveniently located in the heart of Hillsborough County, FL. Providing good roof cleaning service means taking the time to listen. We will work with you to make sure you receive the proper non pressure roof cleaning services you need. Our Tampa Roof Cleaning Company is client-oriented, and we maintain the highest standards of customer service and professionalism. 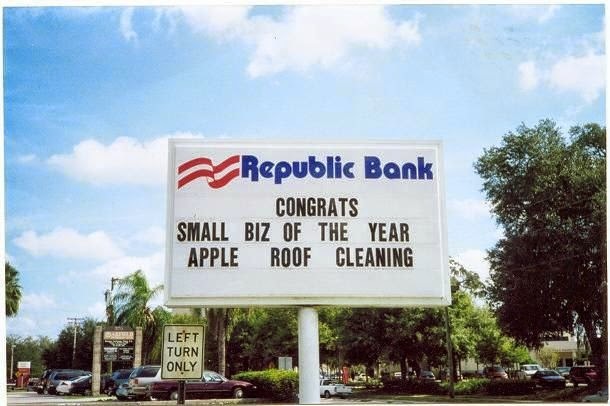 Apple Roof Cleaning Tampa is an Accredited Business with an A+ Rating at the Florida Better Business Bureau. We hope you'll find the information you need on this site about Apple Roof Cleaning Tampa Florida and the products and services we provide. We look forward to cleaning your roof. 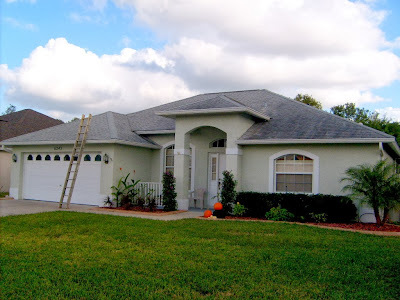 To provide the best Roof Cleaning Service possible in Tampa. To exceed our Homeowners cleaning expectations on every completed roof cleaning project. To provide fast and reliable non pressure roof cleaning service to every one of our Tampa, FL area clients.